Please use this option if you would like to make a donation directly to the Kevin Adorno Memorial Fund to support our programs! We are proud to announce that tickets are on sale for the 5th Annual Kevin Adorno Memorial Festival. 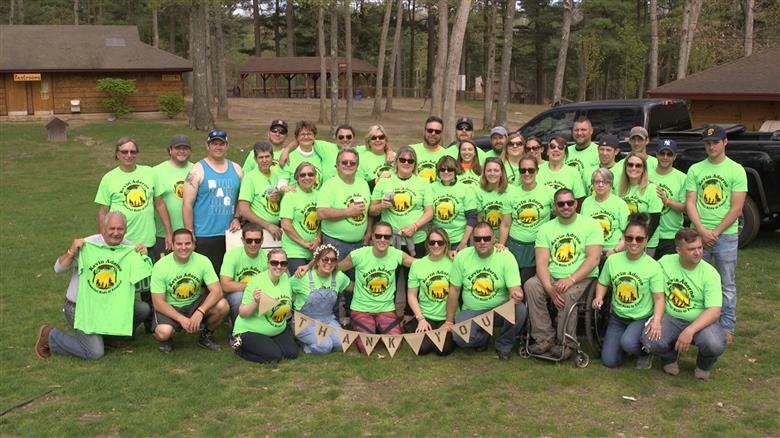 This year’s fundraiser will take place on Saturday, May 18, 2019 at Winding Trails, Farmington, Connecticut. This community driven festival includes a 5k Trail Run/Walk, Disc Golf Tournament and other fun activities for kids and adults of all ages that include: food from local restaurants, beverages, live music, raffles, bounce houses all day, carnival games, arts & crafts & more -- all for the cost of a single purchased ticket. Advanced ticketing pricing starts at just $30 (ages 21 and over), $20 (ages 11-20 & Designated Drivers), free admission for children under 10! Purchase your tickets now as the pricing will increase at the door to $40. Join us in celebrating the life of Kevin Adorno while raising funds and awareness for The Kevin Adorno Memorial Fund and their programs for children and young adults. 12:00-3:00 p.m- Farmington River Beer Festival. One low ticket gets access to The Farmington River Beer Festival and KAMF Fest great food and activities at Winding Trails on May 5. A limited number of tickets are available for both the beer festival and KAMF FEST Combo. Buy Now! Please visit our website at www.TheKevinAdornoMemorialFund.org to learn more about The Kevin Adorno Memorial Fund’s Programs, our impact on the community and how your contribution to this annual event helps to make this all possible! If you are interested in becoming a sponsor, donating a raffle prize or volunteering, please contact us at TheKevinAdornoMemorialFund@gmail.com. The Kevin Adorno Memorial Fund, Inc. (“KAMF”) is a 501(c)(3) non-profit organization founded by the family and friends of Kevin Adorno and established to support children and young adults in need, financially and socially, throughout Connecticut. KAMF supports children and young adults in need through the promotion of bicycling, provision of scholarships to young adults aspiring to further their education in the arts and the implementation of programs to increase their presence in the community. Please visit www.TheKevinAdornoMemorialFund.org for more information on our Programs for children and young adults including our Scholarship Program, Bikes from Bambino, and the Holiday Give Back Program. The Kevin Adorno Memorial Fund wants to thank you for your incredible generosity and support in 2018. With your support of the 4th Annual Kevin Adorno Memorial Festival - as a sponsor and/or attendee, a participant in the Rage@Page Disc Golf Tournament, by purchasing RAGE apparel or with your direct donation to the fund, we were able to accomplish many of our goals through KAMF Give Back Programs! We donated bicycles and helmets to children throughout the Farmington Valley and Connecticut with our Bikes From Bambino Program. We helped make the holidays possible for children at Noah Wallace Elementary, West District Elementary and throughout Connecticut with our Holiday Give Back Program. We were also able to give (2) Kevin Adorno Art Scholarships to Farmington High School students with college bound aspirations through our Scholarship Program.